Get past the doubts and obstacles keeping you from becoming a strong leader and identify your passion and purpose as a business woman or entrepreneur. As a woman in business, demands on your time have increased exponentially over the past several years. Our families, technology and teams at work are all calling for our attention. How do you do it without burning out? What is the toll this fast-paced lifetakes on you? How do you find your way in this corporate maze and still achieve work life balance to find time for yourself? How do you overcome the guilt of sneaking away for a few hours? 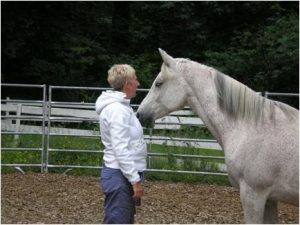 Our powerful retreats for women will help you identify and develop your leadership skills, learn techniques to center yourself and re-focus, using techniques of equine therapy and the natural environment around you. 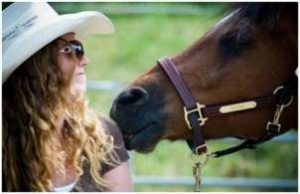 In our customized business women’s retreats and workshops, we provide life and leadership coaching where busy women executives, emerging women leaders or business owners like you will learn new practices to support living a fuller, richer life. Learn the techniques of business success and explore the power of your own mind in your interactions with your environment. Begin living your own best life – this one – each day. You will be able to do it better for others if you first learn how to take into yourself. *The Boundary Dance: Learning what is really yours! *Field of Dreams: Expanding your capacity to make possibilities realities. Finding the Leader Within:Rediscovering your inner leader. Heart Based Leadership: Resilience, agility, and the power of emotions. The Dance of Transition: Navigating through the ambiguity of change. Imagine the idea of a business or weekend retreat where you are surrounded by the warm sun and the sounds of nature all around you. Imagine the beautiful and fresh aroma of a new spring, summer, or fall day! - Bonus copy of the 'Innovator's Paradox'.